I know this is a music website, but we’ve gotta have clothes to wear out to shows, right? Most of the show-going public in Portland are into the nautical-chic heritage style of local superstar boutique Rogues Gallery (plus they throw really awesome parties). 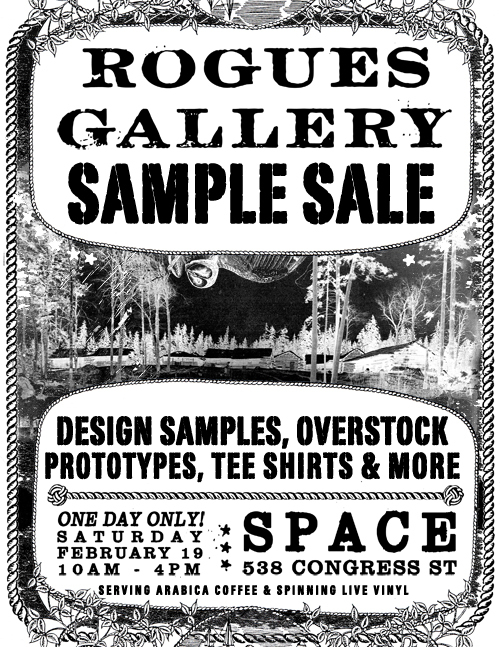 If the regular prices at their Wharf St. shop are a bit intimidating, luckily they just announced a Sample Sale this month at SPACE on Saturday, February 19th (right before the epic 3rd Annual 48 Hour Music Fest goes down)!